If you are an artist, ad agency, blogger, musician, novelist, screenwriter, web designer, dancer or software developer, you likely have a body of work that could be rendered into a portfolio of copyrights. We advise individuals, businesses and organizations through the legal steps of obtaining a copyright registration from the U.S. Copyright Office, licensing and other transactions, and enforcing their rights. Our copyright attorneys are experienced and highly-regarded intellectual property advisers, and we will let you know how to best protect your work. A copyright provides legal protection for a wide range of items which embody human expression fixed in some sort of tangible medium. For example, a novel might express a story fixed on paper pages; a software program is form of expression fixed on a computer media, such as a hard drive; a painting might be an expression of a landscape fixed on canvas. The U.S. Copyright Office registration process is relatively quick, simple, and inexpensive (especially when compared to other IP registrations like trademark and patent). 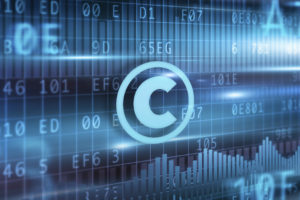 Though completing a copyright application may seem rather easy, if it is not done properly, it may not be as effective as needed to properly defend your rights. Our attorneys can handle the prosecution and defense of copyright infringement matters, from initial consultation, negotiated settlement, or, if necessary, litigation. In many instances, we can offer copyright registration application preparation services on a “Flat Fee” basis (including software code copyrights) CLICK HERE.